Watch how a skateboard shape is transformed when tricks are performed, by sliding, rotation and reflection. Skaters practise technical tricks like grinds and slides every day. 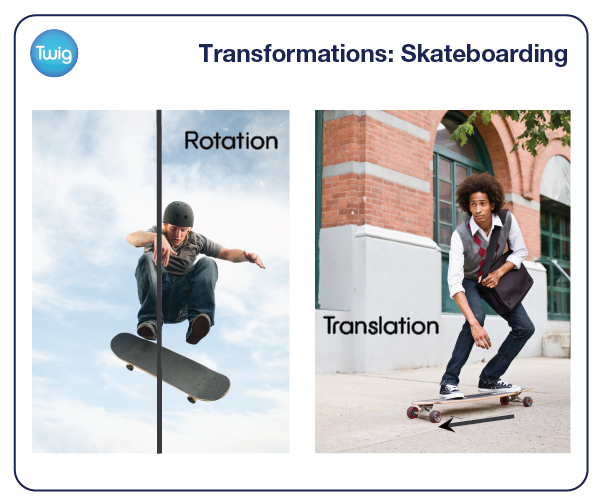 But what the skater is in fact performing is geometric transformations of his board. There are three main types of transformation: translation, rotation, and reflection, in which an object moves position, but does not change shape. In each of these transformations, the length and dimensions of the shape remain the same. Here, the skater moves his skateboard along a specified plane by sliding. This is an example of translation. Every point of the board moves the same distance, in the same direction. 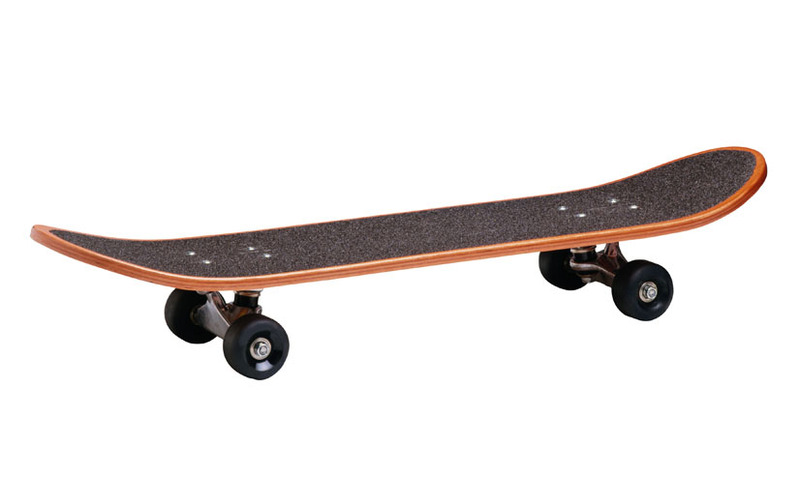 In this case, horizontally, as the skater grinds the board along the rail. Importantly, in translation, the board moves but does not change shape. Here, as the skater jumps, he rotates the board 180 degrees around a fixed centre point. As with translation, in rotation, the shape does not change. As this skateboarder passes a puddle his board is reflected in the water. The board flips across a mirror line. On the other side of the mirror line, the board is the same length but now faces the opposite direction. By transforming the position of the skateboard in a combination of these simple ways, the boarder can perform his incredibly complex tricks. Although if he doesn't calculate his transformation correctly, it could all go wrong.